Vitasorb Liquid Vitamin C is in a simple, hypoallergenic purified water base. Provides 30mg per daily intake of 4 drops. SKU: BIO25215. 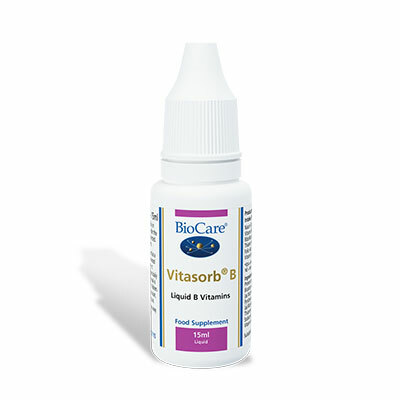 Categories: Liquid Vitamins & Minerals, Nutrisorb & Vitasorb Range, Vitamin C.
Vitamin C has been shown to be involved in the maintenance of a healthy immune system and for increasing resistance to infections. It is also of paramount importance in the quality of our skin health. Particularly suitable for children and the elderly. Four drops taken daily in water, juice or milk with food or taken directly under the tongue or as professionally directed.